Catatonia is a complex neuro-psychological disorder which refers to a cluster of abnormalities in movement, volition, speech and behavior. In its extreme form, it is manifested as absence of speech (mutism), absence of movement (akinesia) and maintenance of imposed postures (catalepsy). Lesser degrees of these impairments, and various other abnormalities of posture, movement, speech and behavior, are also considered to be catatonic phenomena. Historically, the term catatonia has been associated with schizophrenia and psychoses, but it is now recognized that it can occur with a range of conditions, including autism spectrum disorder (ASD). For example, studies suggest that between 12-18% of individuals on the spectrum may present with varying levels of catatonia-like deterioration. Although overlapping or shared symptoms (e.g., mutism, echolalia, stereotypic speech and repetitive behavior) can present a diagnostic challenge, differences in age-of-onset between catatonia and ASD can help to discriminate between the two similar symptom profiles. Specifically, the age-of-onset of catatonic regression is typically observed at a later age than symptoms of ASD and occurs most often during adolescence and young adulthood. Stressful life events, loss of routine, interpersonal conflicts, anxiety and depression, and side effects of psychiatric medication may precipitate catatonia in adolescents and teens on the spectrum. Researchers have posited that some individuals may have an inherent vulnerability to developing catatonia, which becomes overt in response to stress. Although the fifth edition of the Diagnostic and Statistical Manual of Mental Disorders (DSM-5) does not recognize catatonia as a separate disorder, it is included as a specifier for ASD to indicate the presence of comorbid (co-occurring) catatonia. The DSM-5 recognizes that it is possible for individuals with ASD to experience a marked deterioration in motor symptoms and display a catatonic episode with symptoms such as mutism, posturing, grimacing, and motoric immobility. Early identification and diagnosis is critically important as autism-related catatonia can result in marked stress to families and can have a deleterious effect on the quality of life of the individual. Symptoms can progress to acute catatonia which is extremely difficult to treat and lead to total immobility, dependence on all aspects of daily living, and become life-threatening. Unfortunately, autistic catatonia is infrequently identified at an early stage, and often misdiagnosed and mistreated. Clinicians may not recognize the onset and gradual presentation of catatonic-like deterioration rather than the full-scale catatonic stupor state which is more easily identified and familiar to most mental health practitioners. Co-morbid catatonia should be considered as a possible diagnosis for an individual on the autism spectrum who who shows a change in pre-existing symptoms and a marked and obvious deterioration in: (a) movement; (b) volition; (c) level of activity; (d) speech; and (e) a regression in self-care, practical skills and independence compared to previous levels. There is little research evidence to guide medical treatment of autism-related catatonia. The current medical treatment algorithm for catatonia-like deterioration in ASD recommends the use of benzodiazepines, commonly lorazepam, and electroconvulsive therapy (ECT) for cases with acute catatonic stupor or cases where other approaches have been ineffective. Unfortunately, there is a lack of controlled studies examining the medical treatment of catatonic symptoms in ASD. The existing literature is limited to single-case designs and reflects serious methodological limitations. Likewise, studies have not examined the side-effects of these treatments and infrequently report long term follow-up of effects. As a result, there is little robust evidence to support any specific treatment. There is some evidence that when catatonic symptoms in ASD become chronic a psychological treatment approach, co-occurring with medical treatments, is useful to support the management of the individual, particularly for parents and caregivers. This non-medical treatment paradigm is based on a comprehensive psychological assessment which focuses on identifying stressful life event(s), locating and eliminating any potential causes such as psychiatric medications, and restructuring the environment to effectively reduce the source(s) of the stressors. This approach is also designed to help parents and caregivers understand and conceptualize the catatonic syndrome and to work with caregivers and multi-disciplinary teams to implement a treatment/intervention plan. In addition, the use of prompts as external stimuli and physical activities, especially routine and structure are emphasized. This psychological approach can be helpful whether used together with or independently of medical treatments. Given the paucity of information in the literature, it is important to recognize and diagnose autism-related catatonia as early as possible so that treatment and symptom management can be implemented. Thus, it is critically important for clinicians, autism professionals, educators, parents and caregivers to be aware of the symptoms of catatonia-like deterioration in teens and adults on the autistic spectrum. Catatonia should be assessed in any individual with ASD when there is a change in pre-existing symptoms and an obvious and marked deterioration in movement, pattern of activities, self-care, and practical skills, compared with previous levels, through a comprehensive diagnostic evaluation of medical and psychiatric symptoms. Possible physical or psychological causes should be investigated, and treated. There is some indication that screening for catatonic features and providing early support might reduce later incidence of catatonic deterioration in people with ASD. Lastly, there is an urgent need for controlled, high-quality studies examining the potential causes and treatment protocols for this underidentified and misunderstood autism-related condition. DeJong, H., Bunton, P., & Hare, D. (2014). A Systematic Review of Interventions Used to Treat Catatonic Symptoms in People with Autistic Spectrum Disorders. Journal of Autism & Developmental Disorders. Vol 44: 2127-2136. Dhossche, D., Shah, A., & Wing, L. (2006). Blueprints for the Assessment, Treatment, and Future Study of Catatonia in Autism Spectrum Disorders. 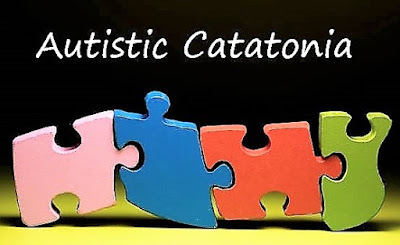 Catatonia in Autism Spectrum Disorders. International Review of Neurobiology Vol 72 P.268-283. Elsevier Inc. USA. Ghaziuddin, N., Dhossche, D., & Marcotte, K. (2012). Retrospective Chart Review of Catatonia in Child and Adolescent Psychiatric Patients. Acta Psychiatrica Scandinavic, a, 125(1), 33-38. Shah, A. & Wing, L. (2006). Psychological Approaches to Chronic Catatonia-Like Deterioration in Autism Spectrum Disorders. 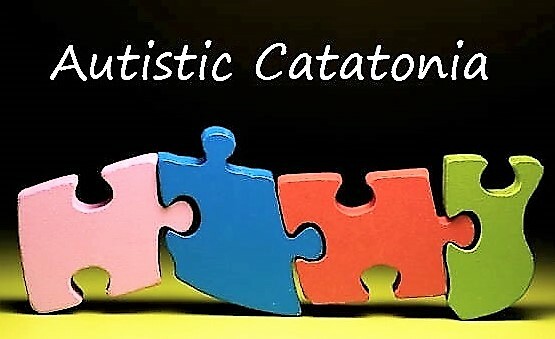 Catatonia in Autism Spectrum Disorders. International Review of Neurobiology Vol 72 P.245-260. Elsevier Inc.
Wing, L. & Shah, A. (2000) Catatonia in autistic spectrum disorders. British Journal of Psychiatry. Vol. 176, 357-362. Lee A. Wilkinson, PhD, NCSP is a licensed and nationally certified school psychologist, registered psychologist, and certified cognitive-behavioral therapist. He provides consultation services and best practice guidance to school systems, agencies, advocacy groups, and professionals on a wide variety of topics related to children and youth with autism spectrum disorder. Dr. Wilkinson is author of the award-winning books, A Best Practice Guide to Assessment and Intervention for Autism and Asperger Syndrome in Schools and Overcoming Anxiety and Depression on the Autism Spectrum: A Self-Help Guide Using CBT. He is also editor of a best-selling text in the APA School Psychology Book Series, Autism Spectrum Disorder in Children and Adolescents: Evidence-Based Assessment and Intervention in Schools. His latest book is A Best Practice Guide to Assessment and Intervention for Autism Spectrum Disorder in Schools (2nd Edition).